A mix of mountain adventure and Himalayan culture, Tamang Heritage with Langtang Trek is without doubt an exciting trekking into the Himalayas. The Langtang region is as wild as any Tibetan highlands with idyllic rural landscape and the rich cultural heritage of ethnic Nepalese Tamang people. Despite being just a few hours’ drive from Kathmandu, the trek along the off the beaten track of the rural and rugged mountains and the high passes dotted with chortens, stupas and prayer flags flapping in the wind make every trekker marvel why the country is called a “walker’s paradise”. A land of magic, meditation, and shamanism. Langtang is also the region of ancient Tibetan monasteries, rhododendron and bamboo forests, majestic waterfalls, snow-capped Himalayas, and many sacred lakes, or what the devout practitioners call the “Kunda”. The 14-day Tamang Heritage with Langtang Trek starts with a day’s bus ride from Kathmandu to Syabrubesi. The actual trek begins from Syabrubesi. From Syabru, we head upward to Gatlang and Tatopani. Then via Thuman and Briddim, we head for the Lama Hotel. From Lama Hotel, another upward hike via the Langtang village takes us to the famous Kanyanjing Gompa. After exploring the region, we trek back to Syabrubesi from where we drive to Kathmandu. Day 11 : Rest day explore around the Glacier, Tsergo Ri(Cherko Ri) and climb kyanjing ri over night at same place. 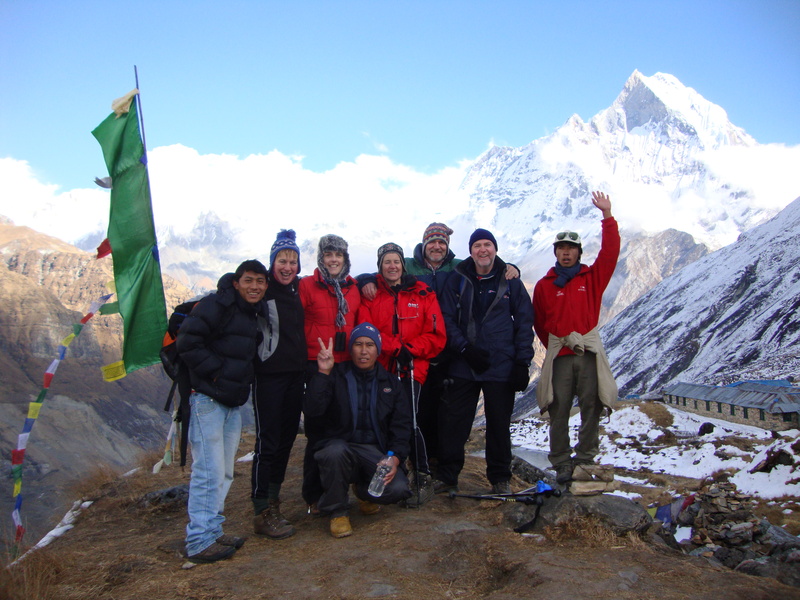 pon your arrival in the Kathmandu airport, you will be greeted by a representative from Friendship World Treks. After completing your custom formalities (Visa, etc) pick up your luggage and look for our representative with a Friendship World Treks display board at the arrival gate. You will be then transferred to your hotel. Meet your trekking guide or stroll around your hotel area. In the evening, there will be a welcome dinner hosted by Friendship World Treks For dinner, you will be served excellent authentic Nepalese cuisine which will introduce you to the Nepalese food culture. Overnight in Kathmandu. After morning breakfast we drive out along the north-western hills of Kathmandu. 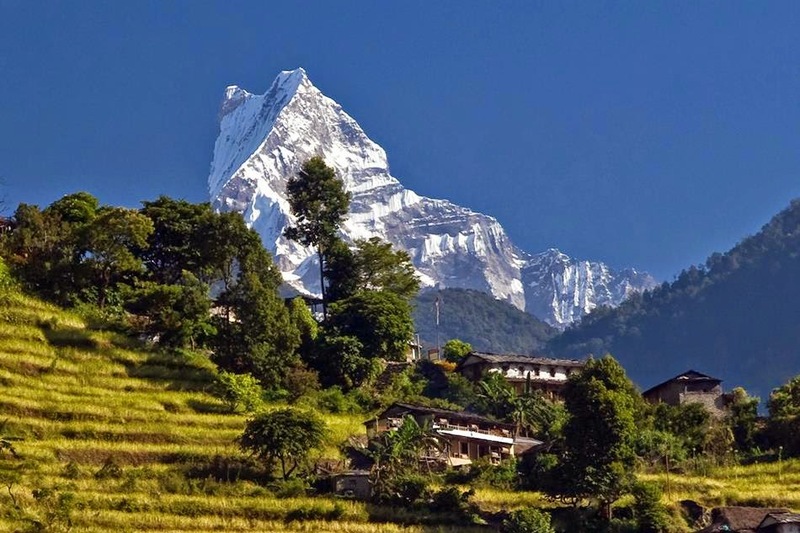 Enjoy the Himalayan views and mountainous lifestyle through the terraced fields and rustic villages. Take Lunch at the Trishuli Bazar before continuing further to Dhunche. From Dhunche, we descend down to Syabrubesi. The trek starts from today. From Syabru, hike across the Goljung Village. Enjoy the views of the Ganesh Himal, Shishapangma, Langtang Lirung among others. Gatlang is a small village on the hillside with the traditional stone houses. Overnight at Gatlang. We begin today's trek with a descent to Thangbuchet. 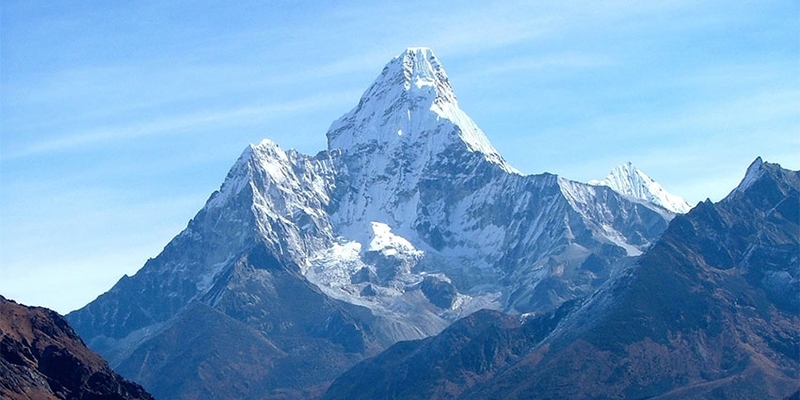 Enjoy the magnificent views of the Ganesh Himal and Langtang Ranges. Passing by the Chilime Hydropower dam, we ascend the trail until we reach Tatopani. Tatopani literally means 'hot water' in Nepali owing to the natural hot springs there. Take a dip into the natural hot water to relax your tired muscles. Today we trek from Tatopani to Thuman via Brimdang and Nagthali. Passing through the dense alpine forest, we reach the small Tamang settlement of Brimdang. Then a few hours walk uphill, we arrive at Nagthali hill. 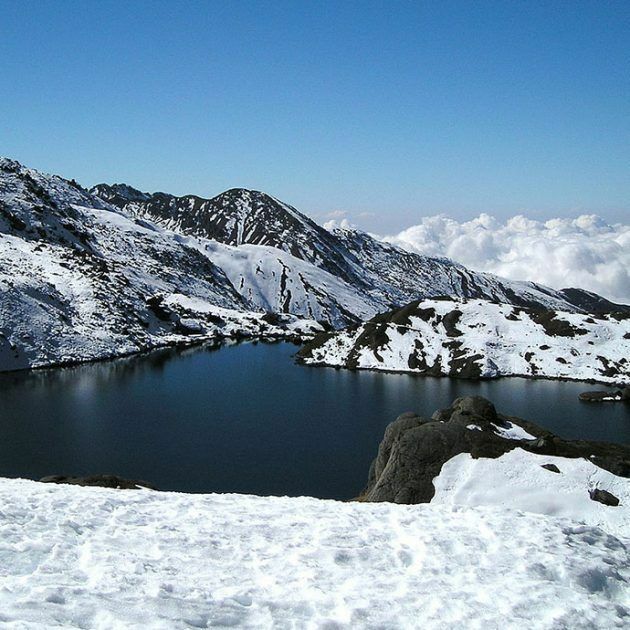 Enjoy the mesmerizing views of Langtang, Sanjen, Kerung, Ganesh Himal ranges. Trek downhill to the Tamang village of Thuman. Today, we trek to Briddim from Thuman via Lingling. Briddim is a Tibetan Buddhist village on lap of Langtang Himal. Visit the Dukchu Gomba monastery. Most of the houses in Briddim are stone houses. Inhabited by mostly the people of Tibetan origin, Briddim resembles a typical Tibetan village on this side of Tibet. Today, we trek from Briddim to Lama Hotel. The trail descends to the Ghopche Khola. Then we ascend to Lamahotel via Rimche. Lama Hotel is on the banks of Langtang River and surrounded by lush forests and mountains. After taking morning tea, we embark our second day of the journey. Our trail continues along dense forests. After making a steady climb up through the valley, we leave the tree line behind us. Enjoy the marvelous views of Langtang Lirung. Pass by water mills, prayer wheels, chortens, with sacred mounds of rocks with inscriptions carved on them. After taking morning tea and breakfast, we get out of the village and pass on through yak pastures. Also pass the largest mani wall in Nepal, made from stone with prayers written on them. The prayers written on the mani wall is supposed to be blown away by the wind. Cross several of the wooden bridges. Kanjin Gompa is surrounded by the Himalayas all around. You can take a walk around Kanjin Gompa enjoying the views, glaciers, icefalls, birds and yaks. Day 11 Rest day explore around the Glacier, Tsergo Ri(Cherko Ri) and climb kyanjing ri over night at same place. This day we have many choices. It is depending as your wish we take one of following hiking. we can see views of Langtang Lirung, Naya kang, Lang shisha Ri, Penthang Karpo Ri and Dorje Lakpa and some others mountains. 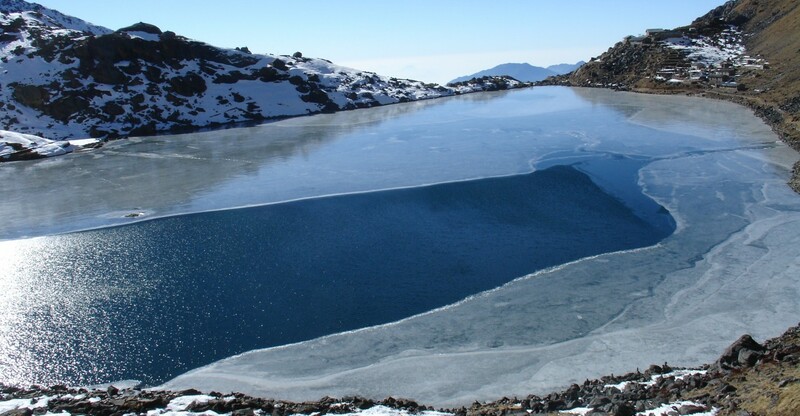 Explore the Langshisa kharka or glacier. Today, we get back to Lama Hotel. Since, its mostly downhill, it is 4/ 5 hours walk from Kanjin Gompa to Lama Hotel. The trail goes all the way down hill through forest following the river. Pass through the ethnic settlements of the Tamang people who follow religious and cultural practices similar to the Tibetans. Today would be the last day of trekking. After breakfast, we trek down to Syabrubensi. Enjoy the easy trail mostly downhill through lush green vegetation. Arriving Syabrubesi, we take our lunch. After morning breakfast, we drive back to Kathmandu. Arriving Kathmandu, transfer to your hotel. Spend the day leisurely or catch up on some last minute shopping or explore any sights you missed during your first day in Kathmandu. To celebrate the successful completion of our trip, we will have a farewell dinner. where we can pick our meal from their carefully crafted menu that offer a wide range of choices. Overnight in Kathmandu. You are saying good bye to the mountains as journey in Nepal comes to an end today! There is nothing to do but trade emails with travel companions and organize the photos. If you have more time you can do some shopping or sightseeing. Approximately 3 hours before the scheduled flight a representative from Friendship World Treks will take you to the airport. 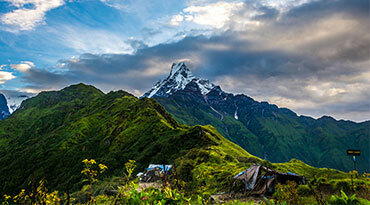 On your way home you'll have plenty of time to plan your next adventure in the wonderful country of Nepal. Day 11: Rest day explore around the Glacier, Tsergo Ri(Cherko Ri) and climb kyanjing ri over night at same place.